I’ll update either later today or tomorrow as I sync it all up to the week’s reality. 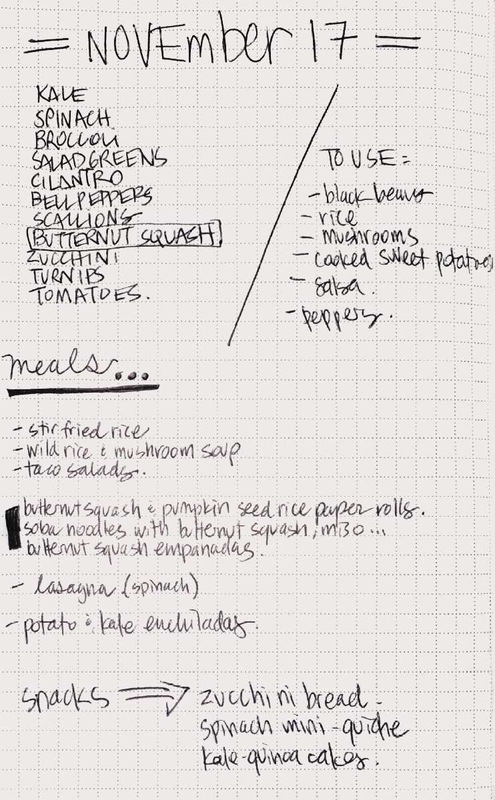 This all got me thinking about meal planning in general and how differently we all go about it. I tend to work with what I have instead of planning a shopping trip that sticks to a list that I’ve made in advance. How do you do it?